Meetings: Dinners and drinks with the rest of the group are always lively occasions, with a plethora of views coming from all sides of the table. Our diverse group guarantees a debate, but the shared goals that we all seek are what bring us together. Lifelong friends, inspiring mentors and valuable contacts are all beneficiaries of joining the team, and it ensures that our monthly meetings are unmissable. 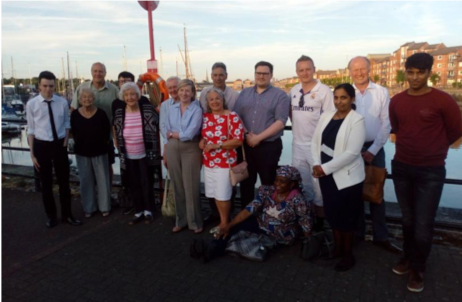 Shaping Policy: Our association is home to some key, influential councillors as well as former public officials, meaning that there is no better place to become more informed about politics. 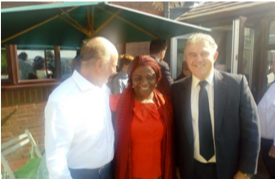 Becoming a member will also gain you access to events around the area involving Ministers and Members of Parliament. As a result, there are multiple access points for you to share your views with those who can make a difference. Canvassing: The most important political skill in the game is persuading voters to listen, to agree and to join. Our members are already engaging with people on doorsteps and encouraging them to vote Conservative in the next elections. We do this by listening to what people want from their representatives. We point out what our party has done, and what we will do for them. We hand out leaflets, take surveys, listen to criticism and report back to the party. This is how we constantly succeed; listening to and carrying out the will of the people. 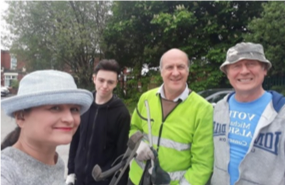 Litter-Picking: Backing up our talk is a Tory trademark, and this is no more obvious than when our members go out together to clean up the streets. This is not just a chance to give back to the community that put their trust in us, but it is also a great chance to network with other colleagues and even learn about environmental policy with other volunteers. Past litter-picks have taken place along the River Ribble and at Avenham Park, highlighting our commitment to maintaining the beauty of Preston’s finest areas. We are the Party of Opportunity for a reason. Join us and you can get involved in all of these activities, but also shape your own path as a Conservative through creating unique events and finding new ways to guarantee that Blue Wave come May.